The rainy season is tapering off in November however there are still likely to be light showers on some days. 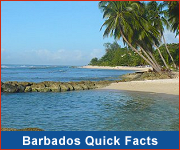 Even at this time of year Barbados still averages nearly 8 hours of sunshine a day! As the temperature starts to dip up north, this is a great time for a tropical getaway. November is also towards the end of the official Atlantic hurricane season. 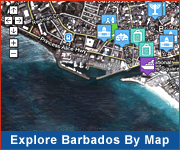 Barbados is fortunate to be positioned at the south end of the Caribbean while hurricanes tend to veer to the north. November is a great time to visit the island, just before the start of the peak winter season (starting mid-December) when accommodation prices increase significantly. Check the summer hotel rates for great deals. Barbados celebrates Independence in November with the capital city and main highway beautifully lighted in our national colours - blue and gold. Use the WhatsOnInBarbados calendar to see what other events you can enjoy in November. Travel to Barbados in November for a more affordable holiday before prices increase for the winter season.